blanket with a luxurious blue cashmere backing. Like all of our items, this blanket is made by hand by our expert team of craftspeople at our workshop in Kiel, Germany. We combine the finest furs and materials to make products of unparalleled quality and comfort. This blanket is no exception. 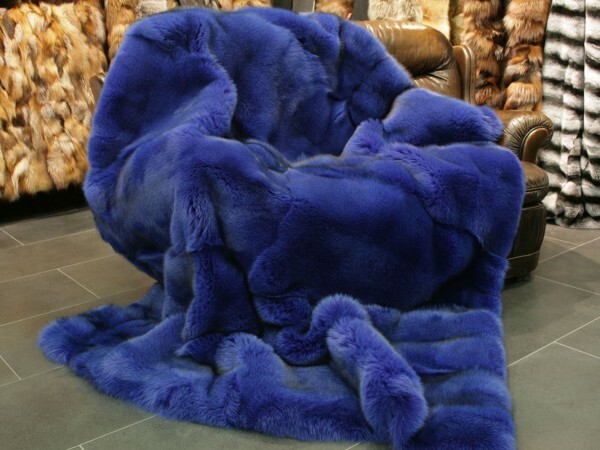 Related links to "SAGA blue fox fur blanket"
Customer reviews for "SAGA blue fox fur blanket"